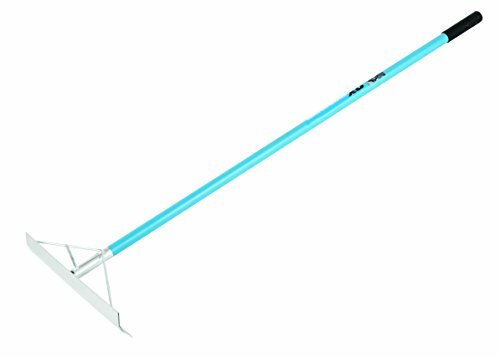 OX Tools Aluminum Concrete Rake/Placer with Hook | 20" x 4"
Product prices and availability are accurate as of 2018-12-12 23:25:02 EST and are subject to change. Any price and availability information displayed on http://www.amazon.com/ at the time of purchase will apply to the purchase of this product. OX Tools Aluminum Concrete Rake/Placer with Hook. 20" x 4". Handle is 60" and designed with soft OX Grip. 3/8" diameter hook for lifting rebar. Light-weight aluminum construction, power coated.